Rocket stoves seem to be making a dent in the market and are the go-to wood burning stoves for camping trips. It’s not difficult to see why since they are easy to use, efficient, durable and have a lot of benefits. 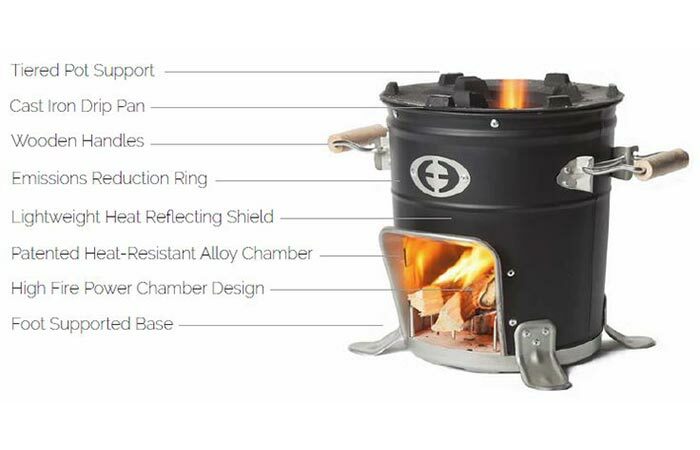 The M-5000 Envirofit Rocket Stove is one of those that are worthy to mention and it also has an Amazon rating of 4.9 stars out of 5. Efficient, easy to carry and with excellent heat transfer capabilities, it’s no wonder why people like rocket stoves so much. Because of the patented metal alloy combustion chamber and the ‘rocket’ design, the M-5000 is an exceptionally efficient stove. 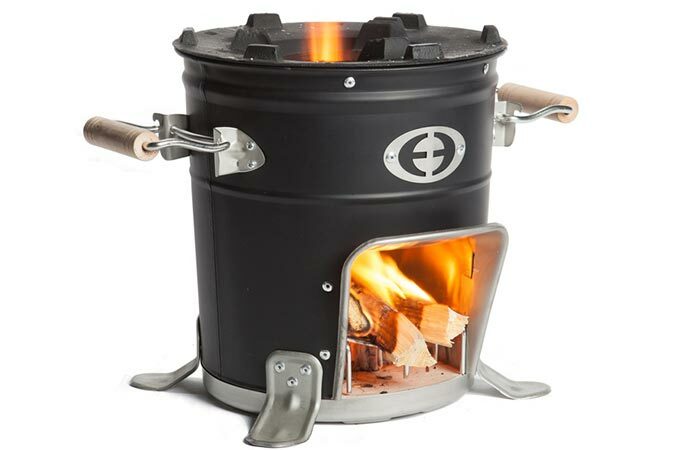 The Envirofit M-5000 Rocket Stove is exceptional in its design since it weighs 2 pounds less than the G3300 model. The combustion chamber is constructed out of a patented metal alloy and because it features a ‘rocket’ design, the M-5000 has fantastic combustion and heat transfer capabilities. By having an open space at the bottom to feed in wood or biomass and a circular hole at the top, the M-5000 uses convection currents to draw in air which allows for better burning and the ignition of wood gas. Be sure to check out the instructional video below. With these features it’s easy to understand why the M-5000 got such a good rating on Amazon. The M-5000 also offers a new and improved design on both the legs, for added stability, and the handles for easier carrying and comfortable handling. The handles are made out of wood that ensure that you’ll never burn your hands while handling it. It’s not only for camping though and the M-5000 is actively busy helping third-world countries, not only with the stove but also with employment for impoverished countries. At the moment, the M-5000 is being produced in Nairobi, Kenya which aids the local economy and families.